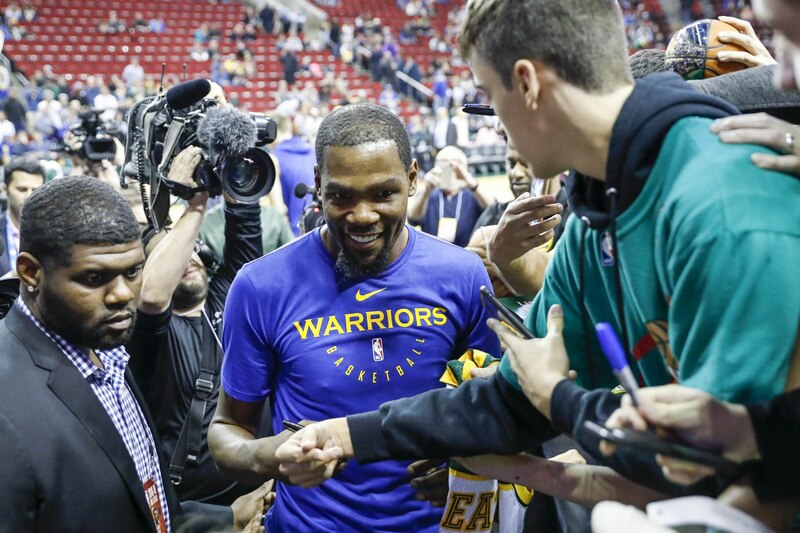 Golden State Warriors star and two-time reigning NBA Finals MVP Kevin Durant might be providing us with an idea of what he’s going to do in free agency this coming summer. Still not a foregone conclusion that Durant will be back with the Warriors, he just recently took a tour of the soon-to-be built Chase Center in San Francisco — the home of the Warriors starting next season. In the process, Durant provided a rather interesting quote. The possibility of Durant leaving the Warriors came to the forefront earlier this season when he was involved in some drama with teammate Draymond Green. Since then, it seams that cooler heads have prevailed. Realistically speaking, it’s hard to imagine Durant bolting the Warriors after three seasons. He’s set up shop in Silicon Valley — creating a business empire of his own. Taking into account what promises to be one of the best basketball venues in the world on the San Francisco waterfront, and this is brought to an entirely new level. It will be interesting to see what comes of this. But if Durant’s recent comments are any indication, other teams might be better off going with Plan B in free agency.